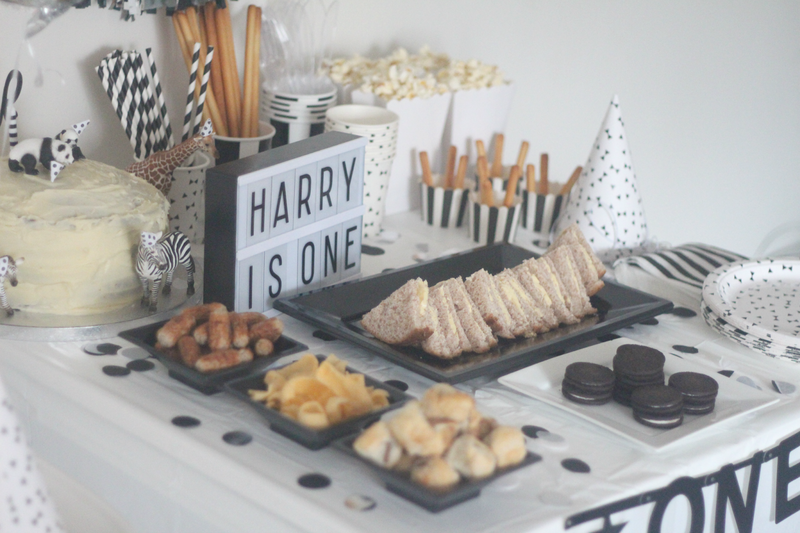 As soon as I started planning Harrys first birthday I knew what the theme would be. In fact I had already chosen it before he was even born! Over the past year or so I have become slightly obsessed with anything monochrome and my house is slowly turning into my black and white dream home! 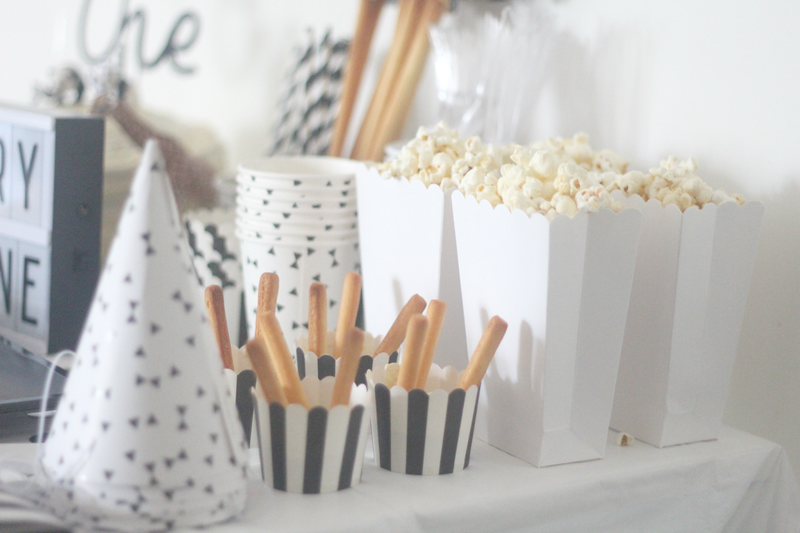 So undoubtably I knew that his first birthday party would be a monochrome theme. We're not big on birthday parties in our family and only tend to do them for first birthdays although as the kids get older and start getting invited to parties at school I'm sure that will change so I knew it would only be a small get together for family which was fine but I still wanted to make it special all the same. 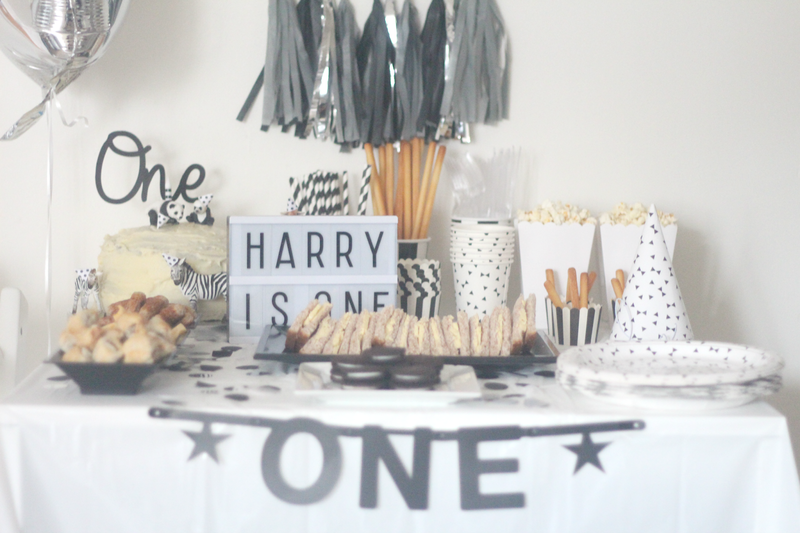 I really enjoyed planning Amelia's first birthday decor which was vintage princess inspired and it's been pinned on Pinterest over 6000 times since I shared it so I was looking forward to planning Harry's too. I left the planning till rather last minute as his birthday is pretty close to Christmas I wasn't as organised as I usually am, however I did manage to get the majority of the bits I wanted. I have listed everything below but if there's anything specific you'd like to know or that I've missed out please let me know! I'll start off by sharing his cake. I did do a cake smash a few days before hand as a practice run as I hardly ever make cakes and I'm definitely no cake decorator but I thought I'd save some money instead of buying them. I had an idea of what type of cake I wanted to make, something simple with a touch of monochrome. I came across a few cakes on Instagram over the past year and found a cake topper from Clara Ivy which I thought would be perfect! I also wanted to add a couple of little Schleich animals so thought pandas would fit well. The cake looks awful but it's better than what I had expected. As I recently downsized our dining table I had to work with what space I had for the party table. Luckily as we only had some family members coming over I didn't need to put out a lot of food but still wanted some bits for people to snack on. I think I managed to fit quiet a fair amount considering the size of the table. 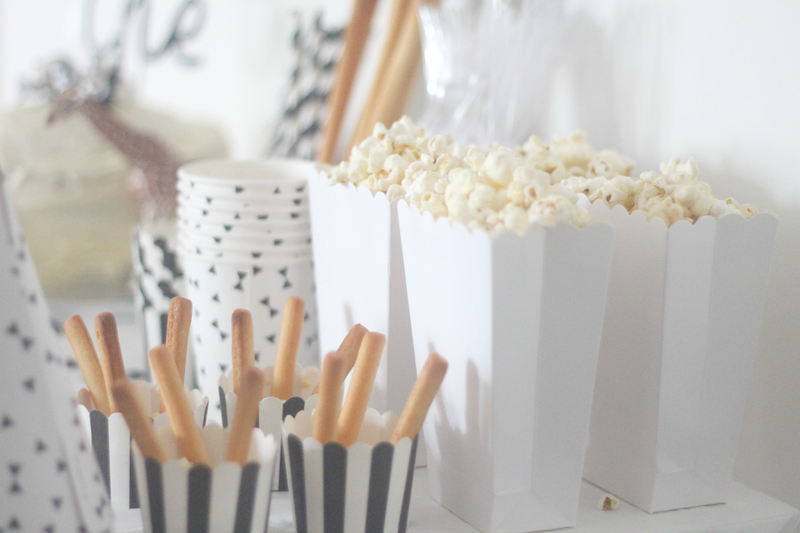 I love the little cupcake holders filled with humous and breadsticks and thought they would be great for the kids as well as the popcorn. I bought the majority of the decorations from Party Kitsch, Cissy Wears and Ebay and I'm glad that I managed to find everything that I wanted. 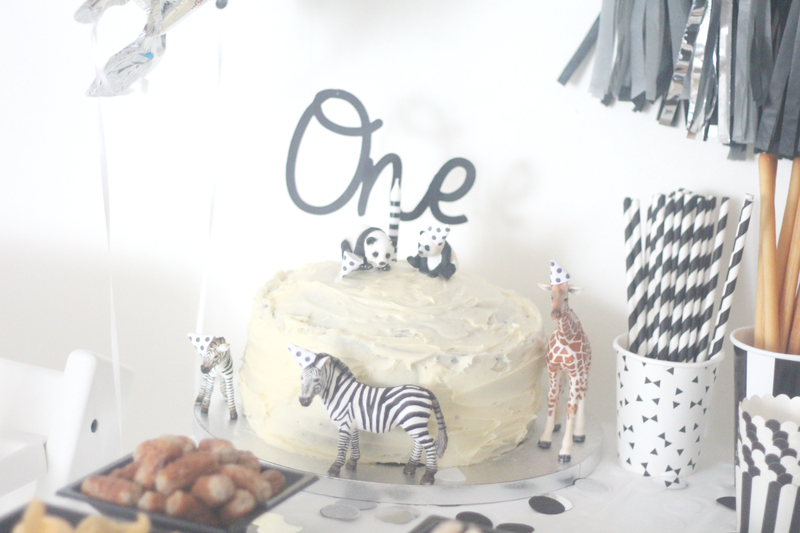 Did you have a theme for your little one's first birthday? Ah i love it so classic and clean looking! Home-made cakes are always the best to! The animals definitely gave it that extra cute touch! What a fabulous cake - it really looks like a snow mountain that the bear is just perched on! I also love the hanging decor and the letter lamp. 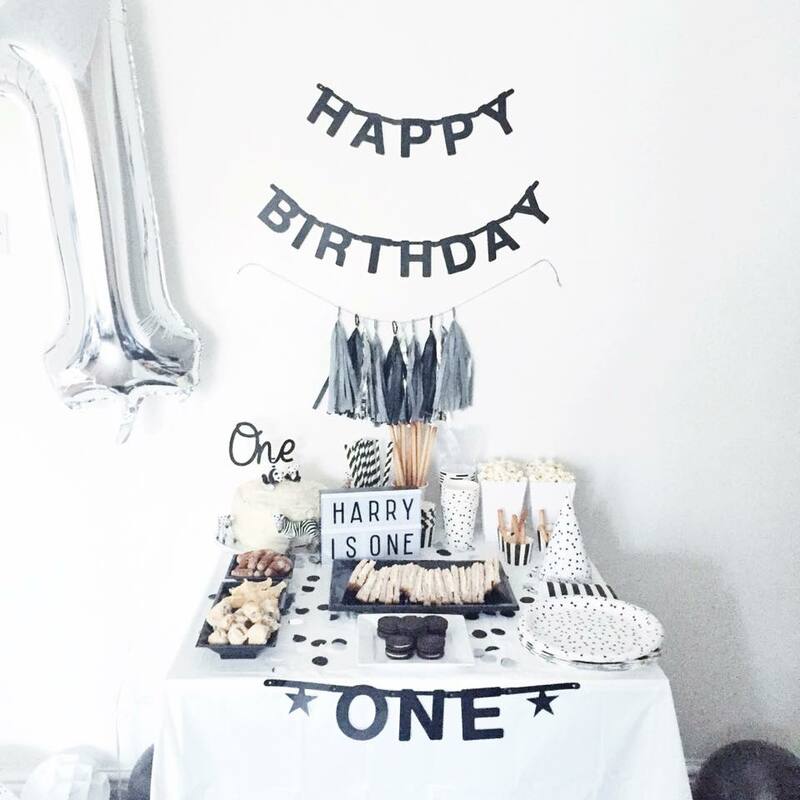 Looks absolutely fantastic - lucky Harry and happy belated first birthday to him! I love this theme I wish I had done monochrome for Blake's birthday but I think I'll definitely do it for his 2nd birthday. Thanks to Dr.Unity for bringing back my wife and brought great joy to me and my family today!. he is so powerful and i decided to share my story on the internet, if you are here and you need your Ex back or your wife moved to another man, do not cry anymore, contact this powerful spell caster now. Here’s his contact: Email him at: Unityspelltemple@gmail.com , you can also call him or add him on Whats-app: +2348071622464 . PROPHET EFE Saved My Marriage"Contact: efepowerfultemple@gmail.com for Urgent Love Spell To Get Your Ex Lover Back Fast, VERY POWERFUL:100% GUARANTEED RESULTS! Thanks to Prophet efe for bringing back my wife and brought great joy to me and my family today!. he is so powerful and i decided to share my story on the internet, if you are here and you need your Ex back or your wife moved to another man, do not cry anymore, contact this powerful spell caster now. Here’s his contact: Email him at: efepowerfultemple@gmail.com , you can also call him or add him on Whats-app: +2347081602438. I’ve been seeing my fiance for over three year and yet the physicality is somewhat lacking. We see one another roughly every 5 days, she says she doesn’t want to rush in and neither do I, although I would like to see some progression. There is some future faking on her part which I am agreeable to, but then not coming up with firm arrangements. I know she’s been out of a long term relationship for a four years now and that it ended ‘messily’ in her words. I do not know the details since she has not felt able to tell me, citing that she ‘needs to be in the right mood for our marriage. I have not pushed this too much however as she clearly doesn’t feel able to talk about it. This then coupled with the lack of total physicality would seem to indicate she is not ready totally for a relationship. She says I need to be patient, but I was wondering whether she is really being honest with me and our relationship because i loved her so much and her past seems to take her away from me. I knew a friend who had similar situation and asked for advise where i ended up with a love spell with Dr MUNA from marvelspelltemple@gmail.com.. I had no regret at all taken the step but its improved my love life and we got married expecting our first child any moment soon..